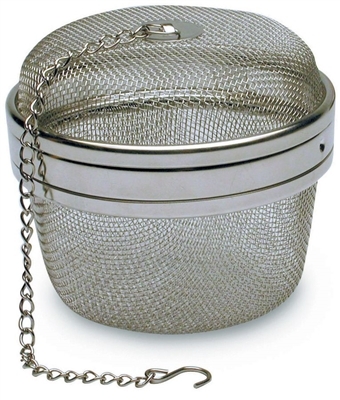 This jumbo stainless steel tea ball is suitable for brewing larger amounts of sun and iced tea. 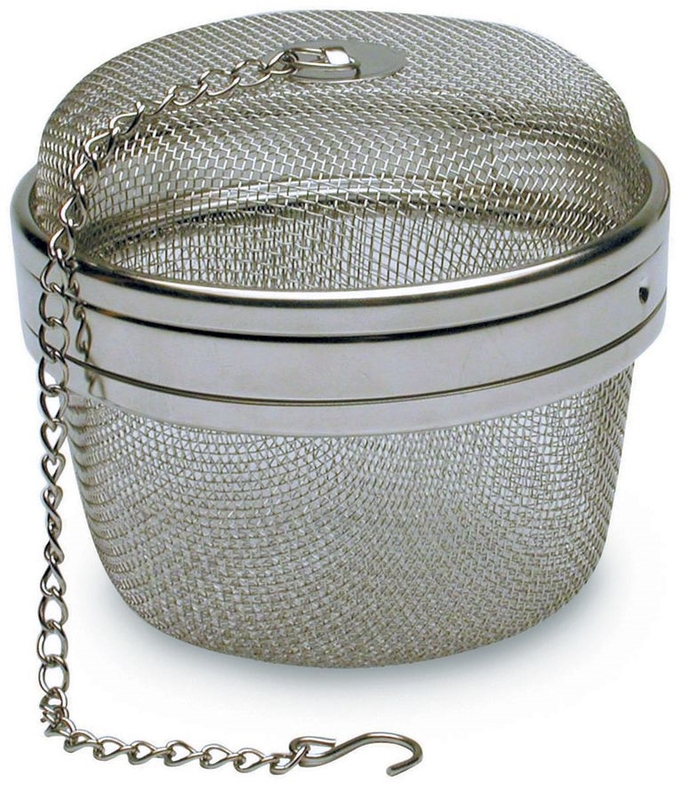 For a gallon jug two or three of these 4" diameter mesh tea balls would be used. You simply fill one half of the ball with your favorite loose tea variety and brew according to directions.This can also be used by filling it with fresh or dried herbs to sit in your soup pot for easy removal.